Note: See related probe system data sheets for more details. For different requirements, MPI is offering a variety of coaxial, triaxial, RF and mmW ambient chucks. All RF chucks include two auxiliary chucks built in from ceramic material for accurate RF calibration. The thermal controller touch screen panel is seamless integrated into MPI's TS150, TS200, TS300 probe systems which provides most convenient operation and minimizes the test cell foot print. 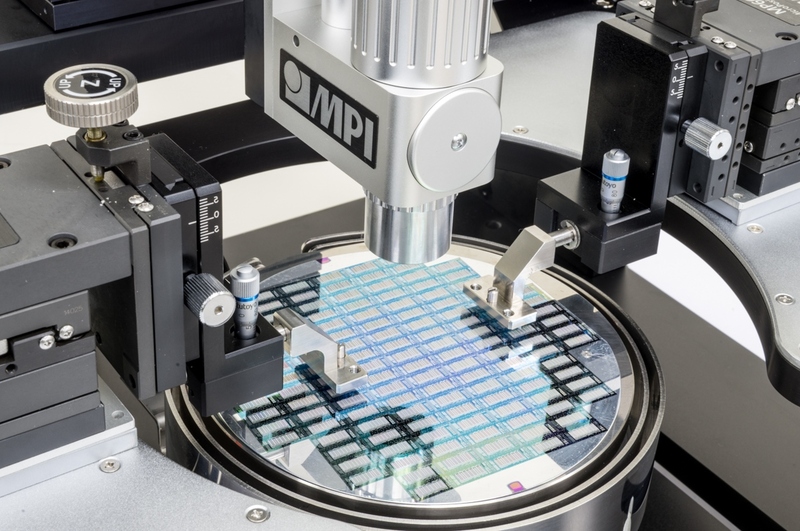 The MPI 300 °C systems include a dedicated high thermal stability probe platen to achieve the best contact quality regardless of temperature range. In addition, the three key values of the MPI thermal solution sets are the ultra low-noise chuck performance inside the shielded MPI TS200-SE system, high reliability and finally the superior electrical isolation for High Power applications up to 10 kV.